I Need Feedback on Dysautonomia Zazzle Designs! 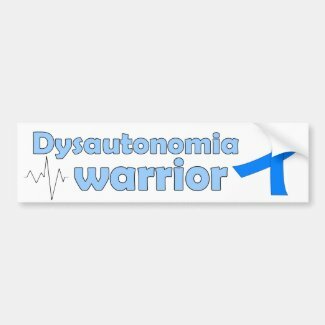 I’d like some feedback about my dysautonomia design for Zazzle. I want to make more products, and I’d like to make some more designs. I’d also like to make some for general chronic/rare illnesses and fibro. I’m not super fantastic at designing, but I’d like to get better, so practice is necessary! Can you tell me what is good about this design, or what may need tweaking? What kind of things do you think I could do to make the other designs I’d like to market? What kinds of colors should I do for general chronic or rare illness awareness designs? What other products should I offer this design, or other designs, on? Aside • Elizabeth B. • This entry was posted in Art Things, Chronic Illness, Money, Questions to Readers and tagged art, artist, chronic conditions, chronic illnesses, chronic pain, chronically ill, Dysautonomia, Dysautonomia, feedback needed, making money, potsie, spoonie, Zazzle, Zazzle designer. Bookmark the permalink. the only hats I noticed last time I looked in that category were the trucker hat style. Would that kind of hat work? I’m thinking ball cap….maybe knit hat too? They have weird fanny pack style visors too… like, wtf is that?! Zazzle has a few plain baseball caps and a plain visor, so I’ll put my current design on those (if it looks alright) and I’m still working on a new design! HA It’s like a fanny pack-visor hybrid thing! Yeah… not a big demand for that particular item, I’d bet!!! I don’t even know what you’d use that for!!! It’s more useless than a fanny pack (though they’re pretty useful), since it can’t hold anything heavy since it’s on your head. I don’t know if I can make that, but it’s a really good idea!!! You know, I feel like I want a different graphic – something that better explains what this is – that the things that are supposed to happen without thinking about it don’t. Like, maybe a broken circuit? Or an egg hatching an elephant? Or a brain in chains? (I’m just brainstorming – there’s probably way better ideas.) An obviously malfunctioning robot? Oooo I like these ideas!! !